Although Robert Henry grew up with country on the radio, it turns out his dad's favorite piece of music was a movement of a piano concerto by a Russian Romantic composer, which Henry first learned as a teenager in Atlanta. "It has it all," he says of the sweeping popularity to the piece that has him thinking of his dad every time he plays it. "Audiences always spring to their feet at the end of it. It's going to be with us for a long time." 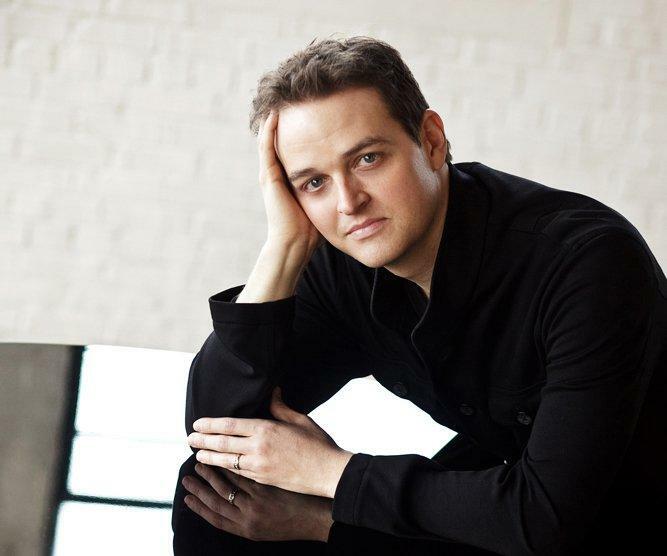 Henry performs Rachmaninov's 2nd piano concert with the Arkansas Philharmonic this weekend. Hear the entire interview with the on-demand streaming link above. The Arkansas Philharmonic Orchestra tackles the irreverent P.D.Q. Bach and more for an exploration of humor in music for their November 11th performance featuring a new concerto performed by guest pianist Jeffrey Biegel. Ahead of the concert Assistant Conductor Daniel Abrams stops in to talk a little more about his role with the Arkansas Philharmonic and specifically about the music of P.D.Q. Bach, "the 21st of J. S. Bach's children," a.k.a. Peter Schickele. For guitarists Thomas Flippin and Christopher Mallett, who perform as Duo Noire, discovering that a major calssical guitar showcase held in the 21st century included no women composers and few, if any, women performers came as a shock. Then an epiphany. "I was just so blown away that that was still happening in 2015," Flippin says. "This is ridicuoulous."